The velvet comes off the paddles as the bull moose begin their battles. 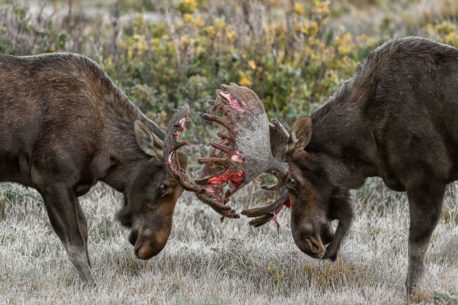 In the early hours of the morning these bull moose are seen challenging each other for the right of breeding. The banging of their paddles will also help remove the velvet which comes off each fall revealing the ornate paddles underneath.